A horror-in-space thriller, Life borrows heavily from Alien, but still achieves the requisite mix of excitement, tension and some human drama. On board the International Space Station, a six member crew is on a mission to receive and research a soil sample from Mars that may contain evidence of extraterrestrial life. 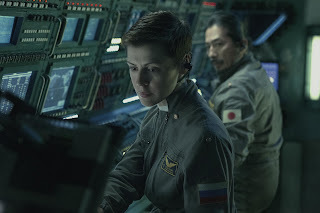 The team is led by Russian Commander Kat (Olga Dihovichnaya), and includes Japanese pilot Sho (Hiroyuki Sanada) and medical officers David Jordan (Jake Gyllenhaal) and Miranda North (Rebecca Ferguson). Once the capsule containing the sample is retrieved, astrobiologist Hugh Derry (Ariyon Bakare) isolates and revives a single cell organism, the first proof of life beyond Earth. Dubbed Calvin, the single cell soon multiplies and grows into a tiny creature exhibiting enormous sensory, cognitive and survival abilities. An atmospheric accident causes Calvin to go dormant; Derry awakens it with a mild electric shock, but Calvin is immediately hostile, and attacks Derry's hand, growing bigger. Calvin escapes from its isolation box, consumes a research mouse, and grows bigger again. 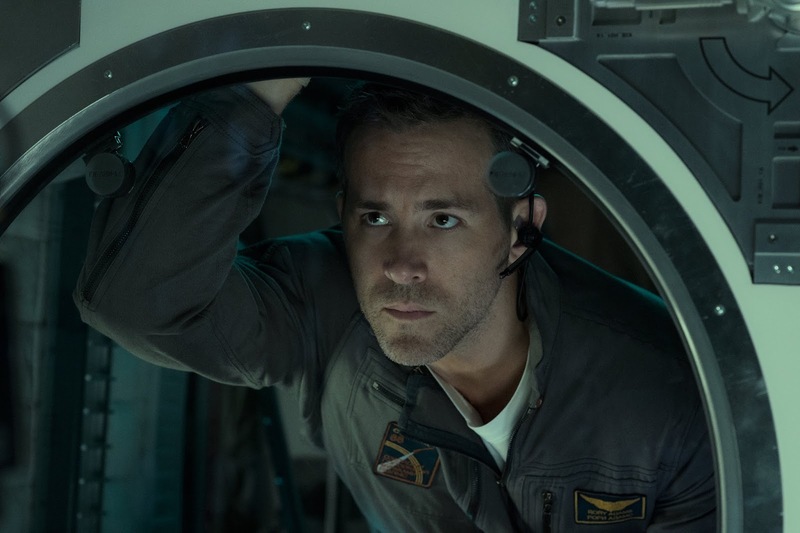 System Engineer Roy Adams (Ryan Reynolds) fails to incinerate it, and Calvin escapes into the ISS ducts, damaging the communications system. Kat has to conduct a dangerous space walk to attempt repairs, as it becomes clear that Calvin represents a significant threat to the survival of the crew. Directed by Daniel Espinosa, Life is full of the mounting sense of dread that something awful is going to happen at any minute. The film quickly gets into a groove, and Calvin is established as a powerful foe, stopping at nothing and growing with every gory attack. The film is almost entirely set on the claustrophobic ISS, with communications back to Earth severed early, leaving the crew on their own, tantalizingly close to home but in grave danger of never making it back. Unlike Alien, Life is almost entirely set in a zero gravity environment, adding to the sense of realism and making movements and reactions more difficult. The crew is also more internationally diverse, although apart from a few jokes not enough is made of the United Nations in space. Within the limits of a relatively short 103 minutes, Espinosa does try and provide some backstories. Jake Gyllenhaal's Dr. Jordan receives the most attention as a long-term ISS tenant and a man who is now more comfortable in orbit rather than on Earth. The pilot Sho gets a more routine new-father-in-space treatment. Some of the sense of realism is however compromised by the dubious decisions made by the crew. The film's constant search for the next thrill means many actions by the supposedly highly trained scientists and pilots appear rushed and ill-considered, with arguments, shouting and impetuous behaviour often trumping more careful thought. The horror elements are otherwise well-handled, and feature the usual mix of jump-out-of-your-seat scares and carefully constructed turn-the-screws tension. Calvin emerges as a supremely intelligent and capable creature, perhaps on the edge of credibility even for a science fiction invention, but nevertheless ugly and scary enough to represent an existential threat. The Life of one newly discovered species could mean the death of many others, and in this space no thing can be more mean.